These terms and conditions apply to reservations by companies (not approved for credit) as well as private persons with Brändö Konferens & Fritidsyby AB (Klubbviken) whose registered office is at Brändö kvarnväg 133, 975 97 Luleå Sweden and relate to bookings via any sales agent, online via the web site and/or any other method of booking or making reservations such as telephone or email or mobile app. 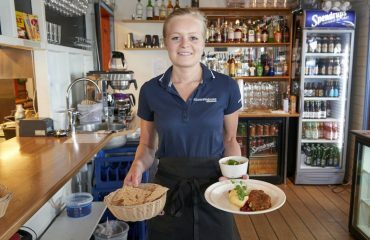 Before you make a reservation with Klubbviken you should read these Terms and Conditions carefully. They are a contract between Klubbviken and you from the time the booking is made. The person who makes the booking accepts these conditions on behalf of all the people in the group and is responsible for all payments due. By submitting a booking request you confirm to us that you agree and will abide by these arrangements. By making a booking you are confirming that you are authorised to do so on behalf of all persons named in the booking and you are acknowledging that all members of your party agree to be bound by these Terms & Conditions. When your booking has been made, a confirmation will be sent to you by email using the email address that you have supplied. You should retain a copy of this confirmation for your reference. You should carefully check the details of your confirmation as soon as you receive it. You must contact Klubbviken immediately if any of the details are incorrect or incomplete. We will always endeavour to rectify any inaccuracies or accommodate any alterations you wish to make to your booking. We cannot accept liability for any inaccuracies that are not brought to our attention within seven days of issuing your confirmation, nor can we accept responsibility for inaccurate information that you have supplied. For all other bookings, made 31 days or more prior to arrival, a 25% non-refundable deposit must be paid at the time of the booking. The remainder of the total price is to be paid 31 days prior to arrival. If payment is not received 31 days prior to arrival, Klubbviken will treat this as a cancellation of the booking and withdraw its confirmation of services. The travel documents will be delivered to you once the full payment has been received. All prices are quoted in SEK and include tax (VAT). 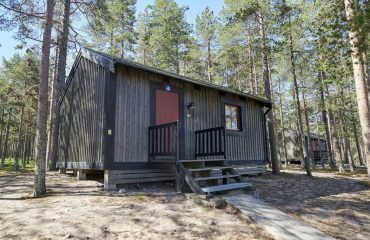 Klubbviken reserves the right to change the cost of a tour as shown in any web site or brochure between a request for booking and the issuance of the booking confirmation. This can happen if there have been changes in exchange rates, taxes, transportation costs or other fees, and these changes will be notified to the customer as soon as they become known. Cancellations can be made without penalty up to 14 days from the time of booking by writing an e-mail to booking@brandonlodge.se and needs to be confirmed by Klubbviken in order to be valid. Any cancellations 15 days after booking and up to 46 days before arrival will be charged a total of 25% of the booking total. Cancellations between 45 and 31 days before arrival will be charged 75% of the booking total. Cancellations less than 31 days prior to arrival will be charged 100% of the booking total. Passport, visa and health-policy regulations. Klubbviken is in no way responsible for the compliance of passport, visa and health-policy or behaviour regulations. If difficulties arise due to missing individual requirements or which are to be led back to the behaviour of the traveller, the traveller cannot withdraw from the contract without cost. In this respect, the terms and conditions for cancellation shall apply. Responsibility for transport to Swedish Lapland. 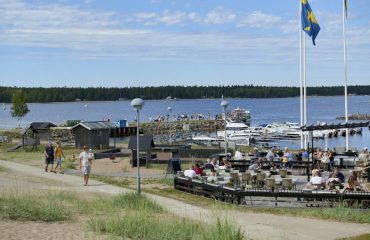 Klubbviken packages, tours and service commence from Luleå or Kiruna airport or train station and all international and domestic travel to these destinations are the client’s responsibility. As such any cancellations or amendments are subject to the terms and conditions of the carrier you have selected. We strongly recommend that all our clients take out comprehensive travel insurance to avoid dispute in case of cancellation as Klubbviken terms and conditions for cancellation shall apply to the components booked through us. In the unlikely event that Klubbviken is unable to accommodate a confirmed reservation it may be necessary to offer an alternative of an equal or a superior standard. If at any time we need to make changes that will significantly affect your stay or we need to cancel your stay, we will tell you as soon as possible, offering a suitable alternative. This does not apply to minor changes or events during your stay, resulting from unusual or unforeseeable circumstances beyond our control. It is also important to be aware that in any program the dates and time for activities may well vary for any reason including scheduling, staffing, weather, safety. Our aim is to provide a fantastic experience at the best time or day, not at a specific time or day. We cannot be held responsible for cancelling your booking because of your failure to comply with any requirement of our Terms & Conditions, and Klubbviken cannot be held liable for any expenses, costs or losses incurred by you as a result of any change or cancellation made by Klubbviken. 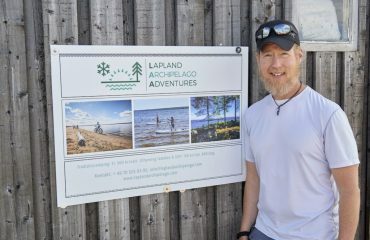 It is incumbent on all clients to be aware that the northern area of Scandinavia is a wilderness area and that there exists risks and hazards by the very nature of its environment and the activities that may be undertaken by clients. Clients should take note of their own limitations and physical fitness before booking or undertaking any activities offered in our tours or packages and if necessary seek their own independent medical advice. Klubbviken and the companies supplying the products in its packages disclaim responsibility for any loss, damage, accident, injury, sickness or any other event beyond our control. As an incoming destinations management company Klubbviken acts in good faith, and cannot be held responsible for any other agent, accommodation house, bus operator, airline, guide, restaurant or any other person’s or companies’ acts, defaults or delays. Klubbviken also disclaims responsibility for any schedule change due to weather, strike or any other cause beyond Klubbviken control. Klubbviken reserves the right to alter routes, itineraries or departure times, without prior notice, should the necessity arise. We recommend all clients to have comprehensive travel insurance to meet all contingencies. Force Majeure means unusual, unforeseeable and unavoidable events beyond Klubbviken’s control, which is an obstacle to the trip which cannot be completed. Events that organisers could not reasonably have foreseen when the contract was concluded and whose consequences he could not reasonably could have avoided or overcome. Including but not limited to war, threat of war, riots, civil disobedience or strike, governmental action, terrorism, natural or industrial disaster, fire, severe or unexpected weather conditions, water levels in rivers or floods, closure of airports and can also include industrial dispute involving third parties, technical problems or maintenance problems or unforeseen operational decisions by airlines such as changes in schedules or interruption of the IT infrastructure (including but not limited to our website). Under these conditions, Klubbviken is free of liability for damages or other penalties. We recommend all clients to have comprehensive travel insurance to meet all contingencies. Complaints are welcome so we can rectify immediately any problems the client may incur and they must be provided to Klubbviken by telephone or email as soon as possible after the problem occurs and no later than 7 days after the issue occurred.